The JTW Program runs from October to July every year and you can join for ONE YEAR (two semesters) or ONE SEMESTER. This is how academic calendar looks. JTW students are expected and required to read carefully, understand fully, and abide consistently by the following rules and policies, and further to consult in a timely way with JTW staff should questions or problems regarding these arise. Those who display a pattern of noncompliance with the guidelines, even if inadvertently, risk dismissal from the Program. 1) JTW students need to be aware that very often they are viewed in Japan as ambassadors from their home countries and should therefore conduct themselves accordingly. At all times students are expected to behave in a mature and responsible manner, as their actions reflect also on Kyushu University and the JTW Program. It is important to realize and to remember that one’s comments, facial expressions, gestures, appearance, demeanor, and so on all potentially leave lasting impressions, and can affect relationships and the quality of the JTW experience. 2) JTW students must observe Japanese law, always mindful that the legal rights, protections, and guarantees that apply in their home countries do not carry force or necessarily have parallels in Japan. 3) The JTW Program prohibits, and will consider as grounds for program dismissal, forms of misconduct that include, but are not limited to, underage possession and/or consumption of alcohol; endangering behavior while intoxicated; disorderly conduct while intoxicated; manufacture, possession, use, distribution and/or sale or illegal drugs and/or substances; assault; harassment; and sexual misbehavior. 1) The JTW Program is designed to be academically engaging and challenging. While clearly it is important for students to experience life outside of the formal educational environment, JTW participants are obliged to remember that they have been admitted to the Program partly on the strength of their past academic performance. Kyushu University will expect from each student the same academic commitment and effort as demonstrated at their home university. 2) Kyushu University maintains and enforces strict attendance requirements for all classes offered through the JTW Program. Failure to keep up good attendance may result in a grade reduction or denial of course credits by the course instructor. 3) Students must fulfill all indicated course requirements in a timely fashion. Assignments submitted late and without valid excuse may either be refused or subject to a grade reduction. Time extensions to complete coursework beyond the end of a semester are not permitted. 4) Students who do not meet the JTW full enrollment requirement, as defined above under “JTW Academic Requirements,” whether because of failure to satisfy class work, attendance, or other course requirements, are, pending fair and timely consideration of the circumstances, subject to dismissal from the program. 5) In addition to the requirement to attend classes (see above), attendance is mandatory for JTW participants at certain special events held during the course of the academic year, including the Program orientation, International Student orientation, opening and closing ceremonies, and independent study project oral presentations, as well as at occasional receptions and other designated activities). Occasions marked by an "@" symbol on the JTW academic calendar above require your presence and/or participation. 6) Participation in study trips is optional though strongly encouraged. To ensure smooth planning, and out of courtesy to the Program staff who must organize and budget for the trips, JTW expects that all students who indicate an intention to join a given outing will follow through in good faith and otherwise inform the staff, in a timely way, of a subsequent decision not to attend. When occasionally participation fees are required, students should pay promptly and in the manner requested. Because large-group traveling often demands a greater level of coordination, study trips sometimes involve a degree of regimentation and loss of participant autonomy, which students are asked to understand and accommodate. 2) the collection and analysis of research data and the presentation of findings and citations have been free of fabrication, distortion, suppression, and other types of misrepresentation. Questions regarding the above should be addressed, in a timely way, to the course instructor and/or JTW coordinator. 8) All course enrollments and all academic results obtained by the student while on the JTW Program will be reported to his or her home university, regardless of the individual’s preference or performance. Transfer of credits and grades to the student’s record, however, requires home university approval and action. Withdrawal of students from courses after published JTW and faculty registration deadlines is not permitted except under extenuating circumstances, and requires approval from the JTW coordinator. 1) Students must pay all required fees (e.g., housing rent, study trip fees, and, in the case of students from non-partner institutions, tuition and other assessed fees) promptly and in the manner requested. 2) All JTW students are required by regulation to maintain valid, comprehensive health (sickness and accident) insurance during their stay in Japan. To meet this requirement, Program participants, even if they have comparable insurance coverage from home, must enroll in 1) the Japanese National Health Insurance (NHI) program and 2) the Emergency Secure Plan, signing up for both upon arrival in Japan, and paying the required premiums in a timely way as stipulated. Refer below to the discussion under "Health Insurance" for details. 3) Non-essential travel during semester-time should be undertaken only in the knowledge that any resulting class absences, if incurred without prior instructor approval or otherwise valid reason, may result in grade reduction or denial of course credits. Sightseeing, including touring with visiting family and friends, is not considered a valid reason for missing class or other required program activities. 4) Early departure from the JTW Program, upon completion of Semester 2 academic requirements but before the JTW Closing Ceremony, is not permitted except under very special circumstances (e.g., academic or medical necessity, family emergency, etc.) and requires, as the situation allows, timely notification of, and consideration by, the JTW coordinator. 5) While living in University-sponsored housing, JTW participants must comply fully with the rules and regulations as established by the housing management office. They are expected at all times to be considerate of co-residents and respectful of housing staff, facilities, and property. Consumption of alcohol and smoking in the buildings and on the building grounds where JTW students are placed is strictly prohibited. Noise (that is, voices, music, and other sounds loud enough to disturb the sleep, study, and peace of other residents) is also not permitted, regardless of time and place. Students are held responsible for knowing and complying with these and all other housing regulations as discussed during orientation and in orientational material distributed upon move-in. Willful violation or disregard of any of the regulations may result in, upon official review of the circumstances, withdrawal of residential privileges, requiring the student to vacate his/her room, as well as other disciplinary measures. 6) Students may accept part-time jobs during the JTW program period providing they receive clearance for each job from the Fukuoka Immigration Bureau. Kyushu University maintains strict rules, with which JTW students must comply, regarding the amount and type of work allowed. 7) Students may accept part-time jobs during the JTW program period providing they receive clearance for each job from the Fukuoka Immigration Bureau. Kyushu University maintains strict rules, with which JTW students must comply, regarding the amount and type of work allowed. Living costs are significantly lower in Fukuoka than in Tokyo, Kyoto or Osaka, not least because the easy access to campus cuts down on transport costs. You will need something like 80,000 yen a month to get by (this would not cover tuition and other academic fees). 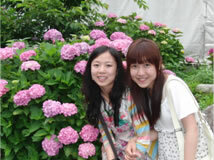 As a new arrival at Kyushu University, you are guaranteed a furnished room with bathroom. Each room is fitted with a single bed, writing desk, chair, wardrobe, refrigerator, and an air conditioner/heater. Pillows, bed linen, and blankets are not supplied but can be found at reasonable prices locally when you arrive. Shopping for food and other necessities is found conveniently nearby. In addition, internet connectivity is provided in your room, though access is fee-based and contracted with a designated service supplier. It is extremely important to have health (injury and sickness) insurance coverage during your participation in the JTW Program, especially given the potentially high costs of medical care in Japan. You of course may take out your own policy before you arrive, but note that whether you are spending the full academic year or a single semester in Kyushu, you are required to sign up for Japanese national health insurance. This costs about 17,000 yen annually, with premium payments comfortably spread out over monthly installments. The program covers 70% of medical bills (hospital fees and related medical expenses). 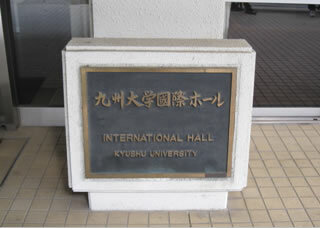 Most JTW classes are held at the International Student Center on Hakozaki Campus. Foreign newspapers, international magazines, and reference books are available at the Center, and the main University library just across the road has a wealth of books in Japanese, English, and other languages as well as multilingual computers. As a JTW student, you may use the computers at the International Student Center throughout the day and week; these will allow you full electronic access via the University library to thousands of online academic journals published from around the world. A medical clinic for addressing minor health issues is located just next door to the Center; in case of more serious problems, several hospitals, including the University's highly regarded medical center, are conveniently close by. There are several cafeterias on campus open for lunch and dinner that serve typical, everyday Japanese dishes at affordable prices, around 300 to 500 yen; discount tickets for these meals can be bought at the adjacent snack shops. And you will have use of the University's athletic facilities, including gym, with its weight-training and martial arts rooms, basketball court, and more. The University offers a wide range of club activities from classical music and tea ceremony to archery, swimming, volleyball, and the martial arts, including judo and karate. These meet on a regular basis and are an excellent way to make Japanese friends. In the past, some JTW students have gone on to represent the university in local orchestras, kendo, rugby, aikido, and baseball! If you are interested in adding a highly rewarding extra-curricular dimension to your JTW experience, and you will be encouraged to do so, your JTW tutor will help you become involved. If you are interested, we can introduce you to a Japanese family in the Fukuoka City area, typically with children, who will host you on periodic weekend visits to their home throughout the year as well as take you out to enjoy popular local sites and events. If you want to experience traditional Japanese New Year activities at first hand, too, we will try to place you with a family during the holiday week. Some JTW students, in fact, end up staying with more than one host family, developing warm, lasting friendships. Both JTW tutors and conversation partners are Japanese students at Kyushu University who provide one-on-one assistance to JTW students. Tutors will befriend and look after you in a variety of ways. They will pick you up from the airport, help you to settle in, explore with you Fukuoka City and its surrounds, accompany you on program outings, arrange informal parties and trips, introduce you to the university club of your choice, and otherwise offer their support throughout the year. Of course interacting with tutors will help you improve your Japanese conversation skills, but you have in addition the option of being assigned one or more conversation partners should you wish to have more regular and informal occasions to practice. In the typical arrangement, conversation partners talk with you in Japanese at least one hour every week. Many of the tutors and conversation partners are thinking of studying abroad next year themselves, and so are highly motivated to work with you.